It was such an honor to be asked to go to NYC with to be a part of the last Tuesday. 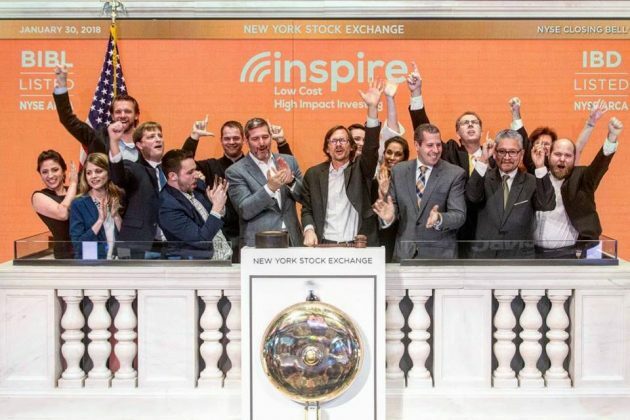 Inspire Investing is an organization dedicated to providing low-cost, high impact biblically responsible investments that support Christian ministry. I wasn’t aware of them before they reached out to invite me to their event and was honored that they would ask me to come. They also were kind enough to say Jesse could come with me and to pay for part of our travel expenses. The entire day felt surreal and crazy — even in how it began! You see, because of how the travel day worked out, I ended up only having 10 minutes to get dressed and do my hair and makeup, instead of the hour I was planning on. No biggie, except for the fact that I was supposed to be meeting a number of people and be on live TV in front of something like 100 million viewers. I just had to laugh while I was putting on my makeup without a mirror in the backseat of the 3-minute Uber ride at how God is constantly giving me opportunities to trust Him — even with little things like hair & makeup! When we got to the New York Stock Exchange (NYSE), we had to go through tight security (you can only get into the building if your name is on their list of invited guests). I didn’t know what to expect when we got in nor how many people would be attending this event. I was guessing it was going to be really small — maybe just 20-30 people. Imagine my surprise when we got inside and found out that there were 130 people there with ! 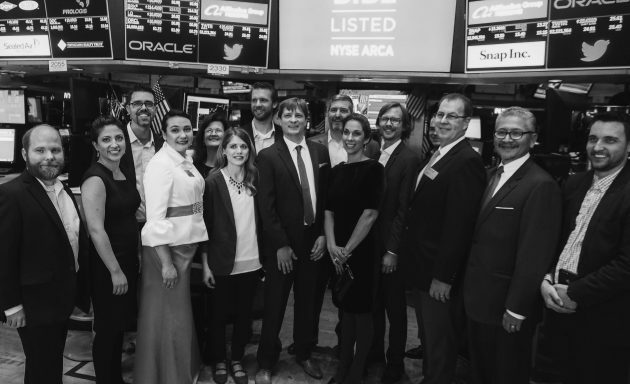 Most of them were financial advisors or in the financial industry and pretty much all of them had flown in for the event from all different parts of the country. 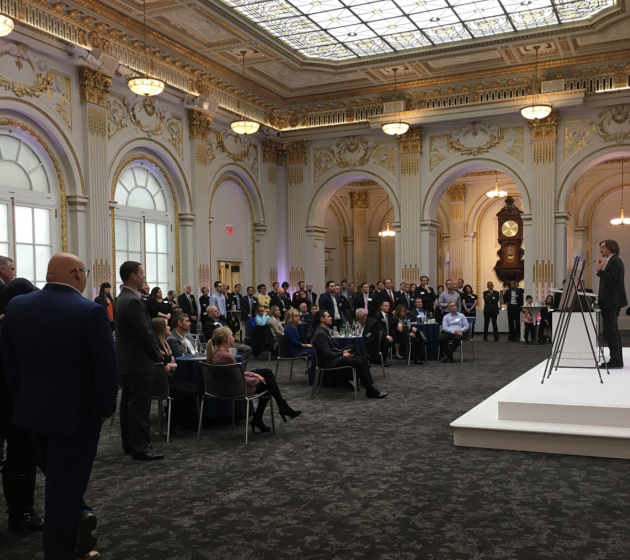 We gathered in this really ornate room and got to hear from the founder of Inspire Investing, as well as get an overview of the history of the NYSE and the importance of it as part of our nation’s economy, as well as how it impacts the global economy. 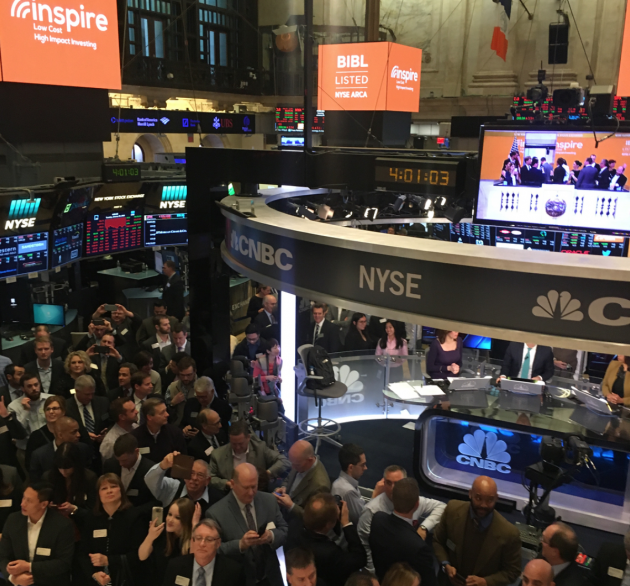 About 15 minutes before the , they ushered us downstairs to the trading floor and we got to walk through it while all of the trading was still going on. It sort of felt like you were in a movie — only the chaos and people pacing the floor on phones and iPads and the paper littered everywhere was the actual thing, not some scene from a movie! We took pictures, signed the book, and then went up to the podium. They told us that over 100 million people view the Closing Ceremony every day and that as soon as we walked out onto the podium we would be on live TV somewhere. 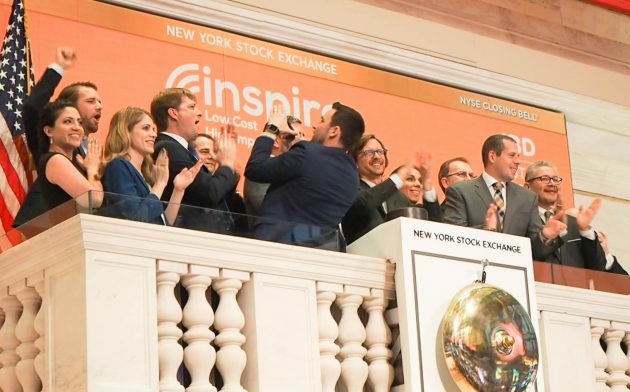 The actual Closing Bell Ceremony felt like it was over so quickly. And it basically just consisted of clapping and smiling and clapping and smiling and clapping and smiling for the cameras. 😉 You can , if you are interested. 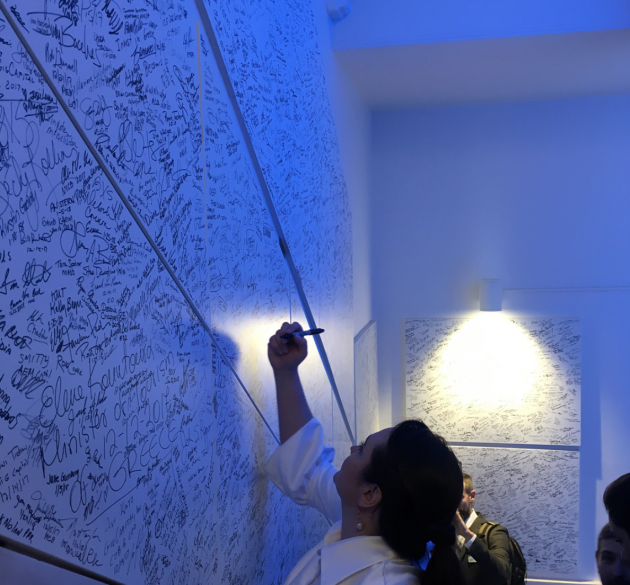 After the Closing Bell Ceremony, those of us who had been invited to be on the podium got to sign the wall on the stairwell behind the podium. 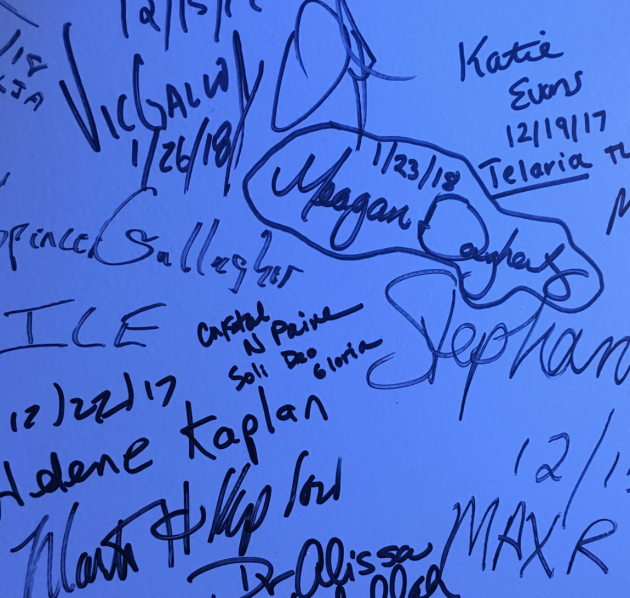 They said we could write something with our name, if we wanted to. I couldn’t think of a more fitting phrase to include with my name than “Soli Deo Gloria” — as that is truly my heartbeat! I loved that Jesse got to join me for this experience (a huge thank you to his parents who flew to our house from Kansas to watch our kids!) and we had so much fun together! 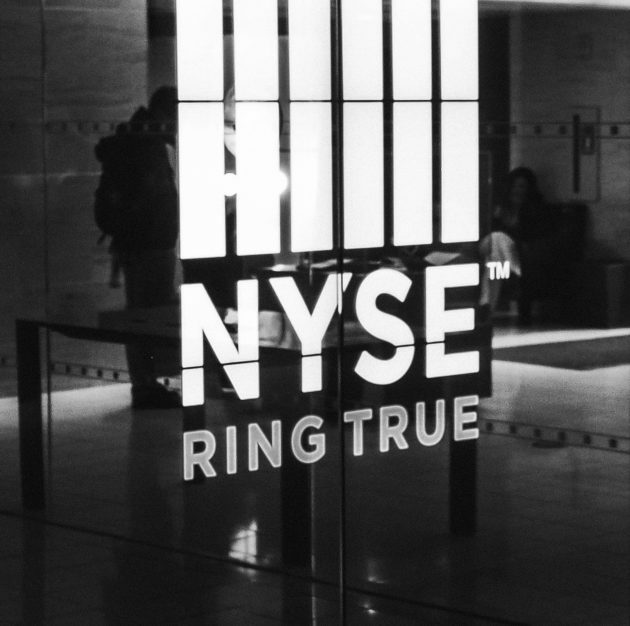 My only disappointment of the day was that we didn’t get a picture together on the trading floor. We were in separate groups and security escorted his group out before I got down to the floor from the podium. 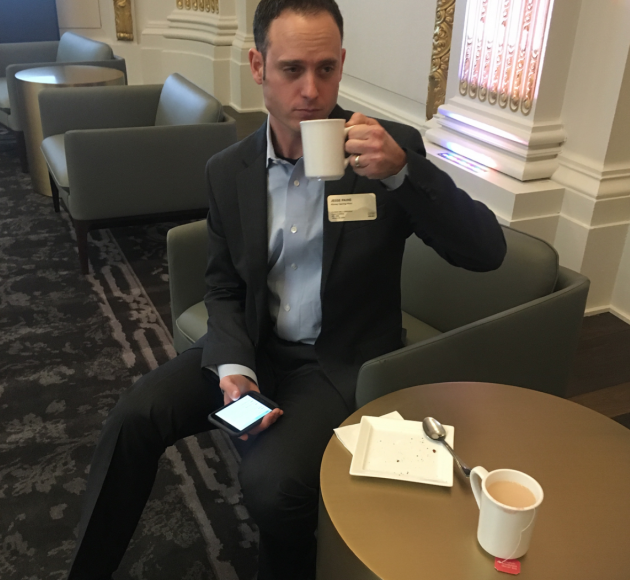 At least I got this hilarious photo of him looking all dapper at the pre-ceremony reception! It was an amazing day and one we will remember and cherish for a very long time! 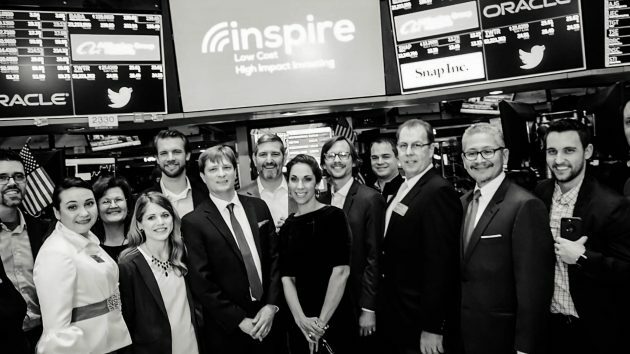 Thank you to Inspire Investing for giving us this once-in-a-lifetime opportunity! What an experience! And how lucky for you that you got to do it on the 30th, instead of on Friday. People probably wouldn’t have enjoyed themselves so much. Thanks again for joining us at this God honoring event! 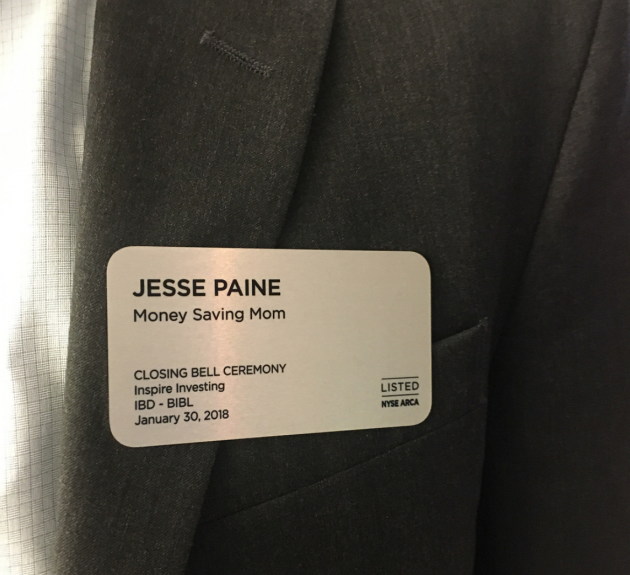 It was a pleasure to have you and we appreciate all that you do to help educate those “wonderful moms” on savings and other financial matters. If any of your readers would like to know more about what we do, or is interested in learning how their investments line up with Biblical values, they can reply to this comment or email us at [email protected]. Hopefully the Lord will cross our paths again soon! Thanks again for the amazing opportunity! I’ve worked in Financial Services for 20 years so I know how big this is! Congratulations! And what fun! SO happy for you!! I think you looked great! You have come such a long way and should be proud of yourself…You are leading me on my blogging journey and have purchased your courses that are available and plan to purchase the rest of them as soon as they are ready. Thanks to you, I got the courage to attend and join a bloggers group in Cincinnati Ohio and was so glad I did. Thank you so much, Debbie! And I’m so proud of you for joining a blogger’s group! Thrilled for you! What an honor! Thank you for publicly giving glory to God! I love jesses name tag. Out of context from your blog it sounds funny.